12 days, 3.5 pounds. Still, I'm a long way from Tipperary. I might walk there today. Yes, I've traded cupcakes for cruciferous veggies and no, it's not the freakin' same.Why all the hoopla about my weight? To the average eye I might not look gigantic but friends, clothes, scales and mirrors notice. 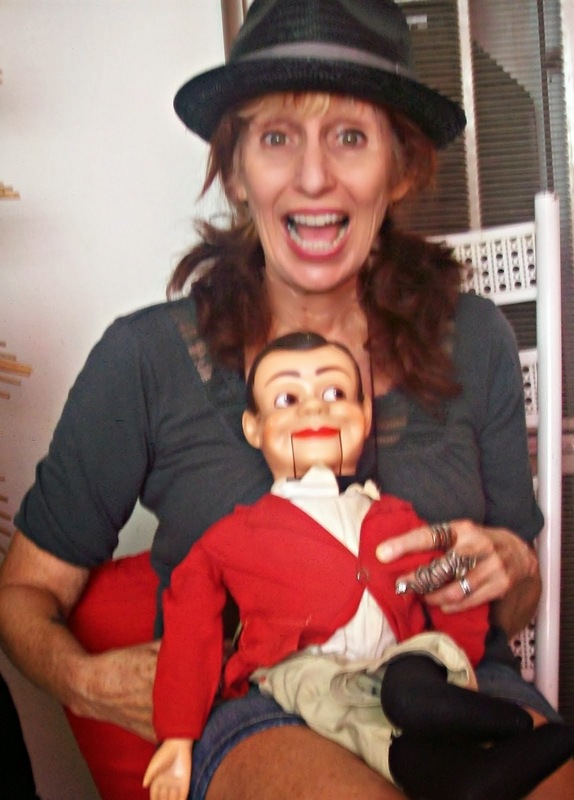 I'm a little person not little as in the politically correct word for midget or dwarf, but little, as in petite.True, I am not exempt from starring in a circus sideshow by virtue of my size, but this blog is not about that. So there! Although, truthfully I'm not really quite sure what this blog is about . Shrinkage, bloat? Okay. Over the years my elderly parents have shrunk quite a bit. I'm going to visit them next week and I can't wait to see them and hold them in the palm of my hand and sing "itsy bitsy parents".... They are just so cute. Here's a picture of them taken together last March. My mother has just reminded me that their condo has very narrow doorways. In preparation I bring you non-caloric cupcake fashion. Now what to do about my April 18th birthday cake? Any suggestions? SO funny today, at the lovely clothing store I work in,3 out od 4 women came in complaining about weight gain..I should have prefaced that we cater to peri to full blown menopausal woman. I suggested they all read your blog..a did have to explain,although you are of the same "pausal" age yours has little to do with that..it is all about the Cupcakes!!! They still should read it! I am probably 30 pounds heavier than when you last saw me weighing in at a huge 160 lbs. Not huge but DON"T try and take my picture. Looking forward to some shrinkage (not Jerry and George shrinkage mind you. PS: The Prince of Vegans is down 250 lbs! If you are fat then I am obese! When are you gonna make vegan cupcakes without sugar or artificial sweeteners? OMG You are 1000s of miles from obese Lynnore! Ah so you understand, Mark. If the Prince of vegans could have his pic taken then so can you! PS Lynnore-I do make agave cupcakes and some date sweetened and agave sweetened parfaits. We made a beautiful parfait in cooing class today, Yum. I got down to 200 lbs a few years ago and felt like a breeze would send me sailing into the stratosphere. Weight loss isn't for everyone... or at least that's what I keep telling myself. But you'll feel so much, better Glen.